Hello! I am Sarah Johnson, a junior studying agricultural communication. My family has been a part of the Farm Science Review for 31 years. We exhibit our Limousin cattle along with landscaping several other companies’ lots. This year along with exhibiting our cattle and being a CFAES Ambassador I got to take on another unique role. I am an Advancement Communications Intern for Matt Marx in the CFAES Development Office and I’ll be the first one to tell you it is an experience you’ll never forget! I absolutely love every aspect of my job as an intern. While at the Review, I had the privilege of interviewing approximately 30 CFAES alumni for video footage that will eventually be published on the CFAES alumni website. It was truly incredible listening to their stories and experiencing their sense of pride. I was mainly in the alumni tent with CFAES Development Office staff, but I also got to move around a lot and find alumni on my own in company tents. I am incredibly thankful to have had this opportunity and I would recommend it to absolutely anyone! Johnson interviews an alum of CFAES. 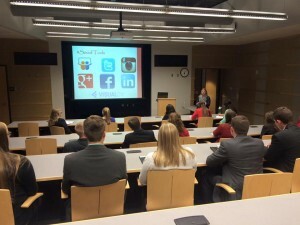 This post originally appeared on the CFAES Student Blog. 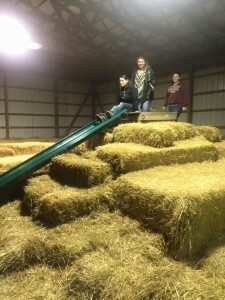 The two student organizations in our department – Agricultural Communicators of Tomorrow (ACT) and Agricultural Education Society (AES) – have been busy this semester with great activities for both their current members and fellow Ohio State students. In September, AES members went to Leeds Farm for fall fun. 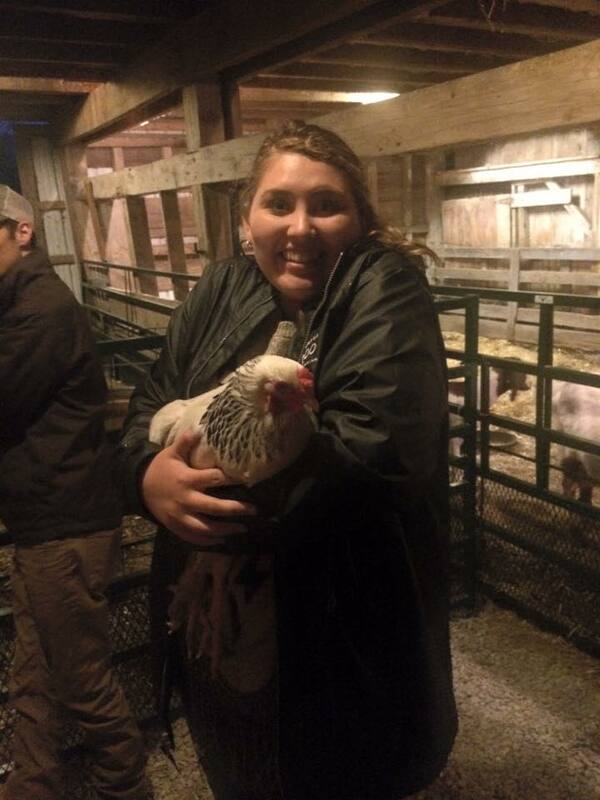 Members visited with livestock and enjoyed socializing while visiting the various activities around the farm. 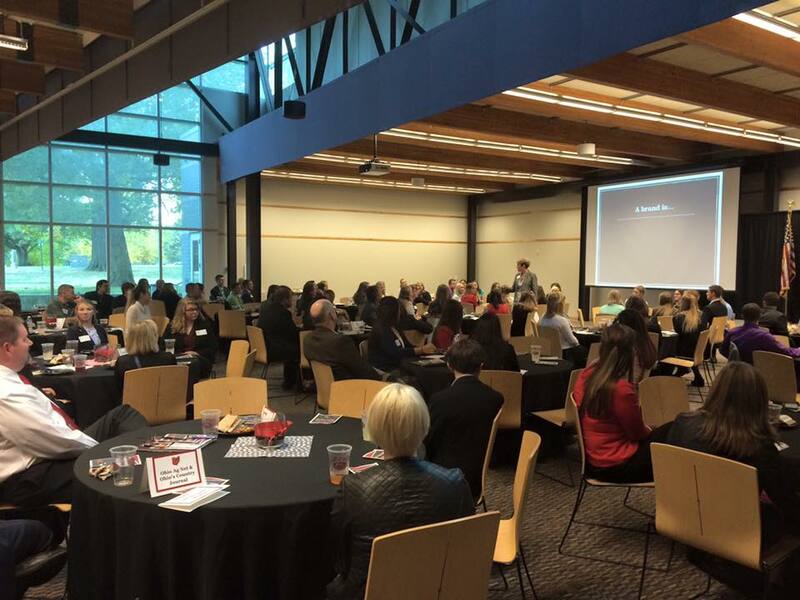 Just last week, ACT hosted the third annual Night for Young Professionals. This is a professional development event for students at the university to learn tools and skills to help them succeed both when looking for a job and during their careers. 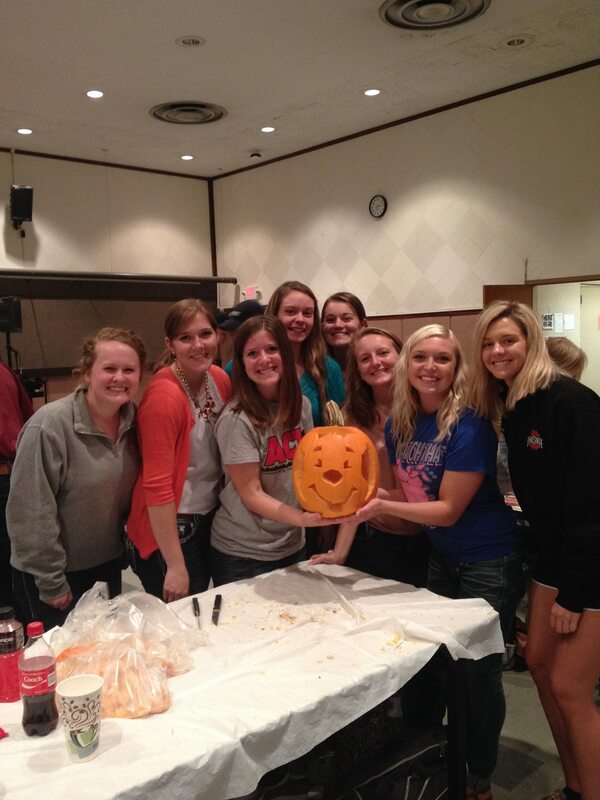 Finally, the CFAES Student Council hosted a pumpkin carving contest last Thursday. ACT members participated by carving an adorable Winnie the Pooh. Great job ladies! 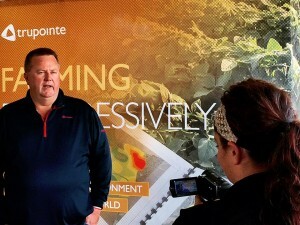 Agriculture teachers in high demand in S.D. What’s Keeping Women Out Of Ag Leadership Roles? The application form for the 2016 Outstanding Senior Award is now available at http://go.osu.edu/cfaes-outstanding-senior. This is the premier award granted to seniors in CFAES. To qualify for consideration, applicants must have a 3.00 cumulative GPA at the time of application and be graduating during the 2016 calendar year. 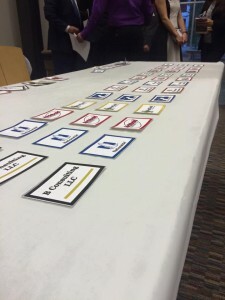 Selections are made based on the applicant’s record of scholarship, leadership, professional and personal growth and involvement in the community, both within OSU and beyond. The deadline for applications is December 16. All applications will be reviewed in January. A group of students will be selected, from all who apply, to interview with the selection committee in February. 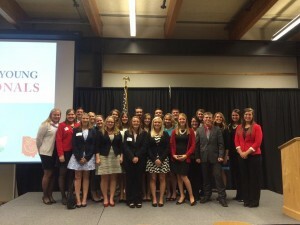 The group of Outstanding Seniors will be recognized at the CFAES Recognition Program on April 7, 2016. Contact Dr. Marilyn Trefz (.2) should you have questions. Applications for the 2016-2017 CME Group Beef Industry Scholarships NOW OPEN! The Beef Industry Scholarship was introduced in 1989 through Live Cattle Futures Contract on the Chicago Mercantile Exchange. The National Cattlemen’s Foundation and CME Group are committed to the future of the cattle industry and continue to recognize and support outstanding youth in the beef community. The tradition remains strong today, each year a total of ten $1,500.00 scholarships are awarded to students pursuing careers in the beef industry. Applicants must be a graduating high school senior or full-time undergraduate student enrolled at a two or four-year institution for the 2016-2017 school years. Applicants must have demonstrated a commitment to a career in the beef industry through classes, internships or life experiences. 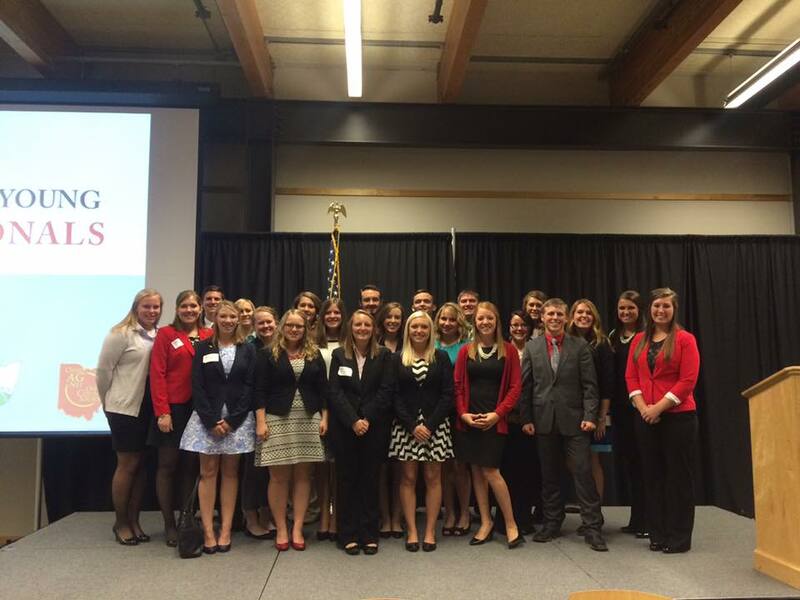 Previous scholarship winners are eligible to apply in subsequent years. Visit here for more information andto apply. In 2017, the Department of Agricultural Communication, Education, and Leadership will celebrate its 100th Anniversary. Agricultural Communication students currently in AgComm 5130 are working on a public relations plan for the celebration. 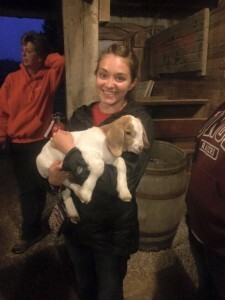 Conducting a survey of alumni of our major, as well as alumni of the agricultural and extension education, agriscience education, and community leadership majors, is one of their assignments. Please take a few moments to share in this survey how you envision celebrating and recognizing a great accomplishment within the Department for all of those previously, currently and yet to be involved. 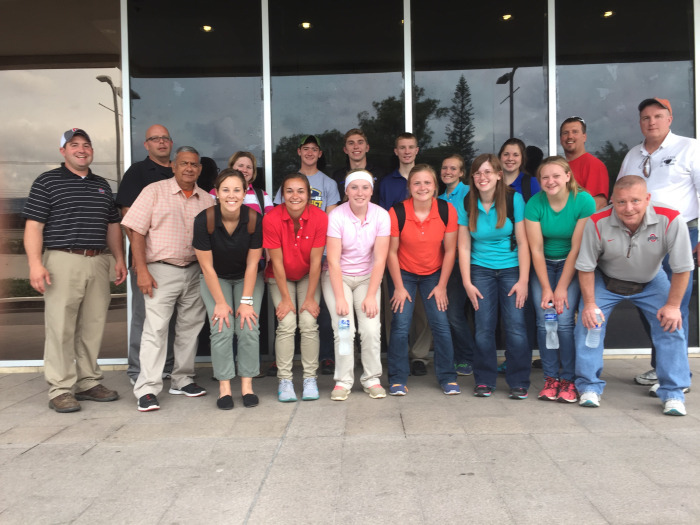 This summer I had the opportunity to travel to Honduras on a week-long adventure with Ohio FFA and the Ohio State University. 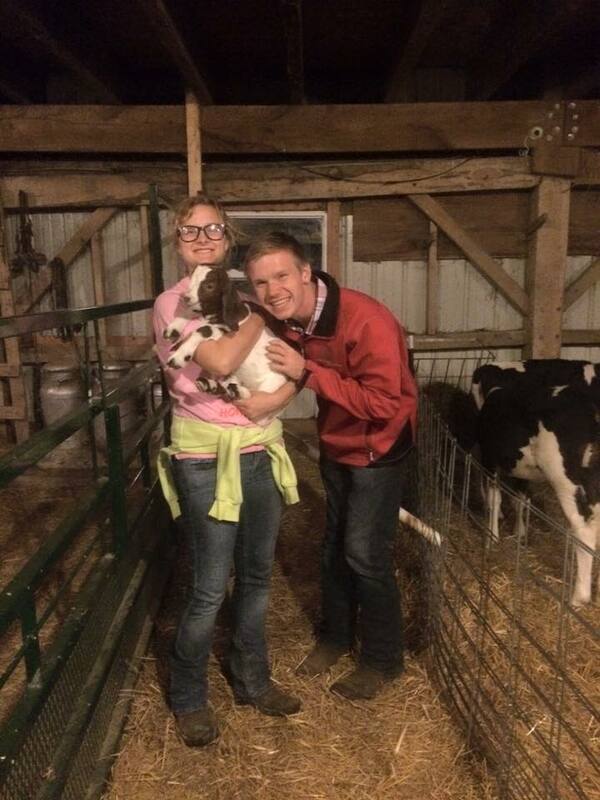 While we were there, we toured three different schools that had agricultural programs. 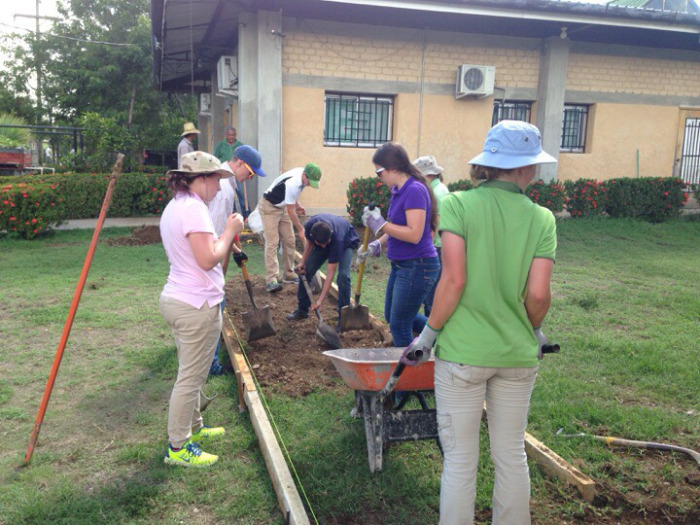 The schools we visited include: El Sembrador School, Manuel Bonilla, and the Choluteca Vocational School. I enjoyed observing the varying differences between the three facilities. El Sembrador School is a boarding school where wealthier families can send their sons to go to classes and learn hands-on at the school’s working farm. At Manuel Bonilla, the children attend regular classes such as history, math, and writing until their last year where they are taught agriculture. The Choluteca Vocational School focused more on developing hands-on skills so each student can specialize in one trade and then enter the workforce. 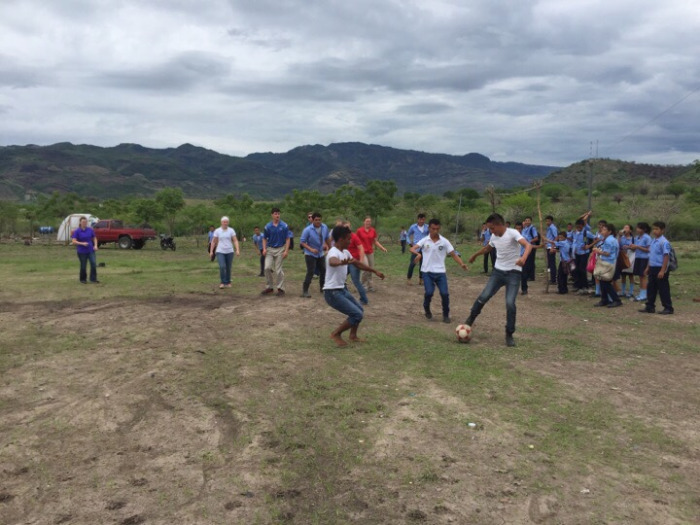 Our focus in Honduras was to take our knowledge in agriculture and implement ideas and practices in a hands-on fashion alongside the students. 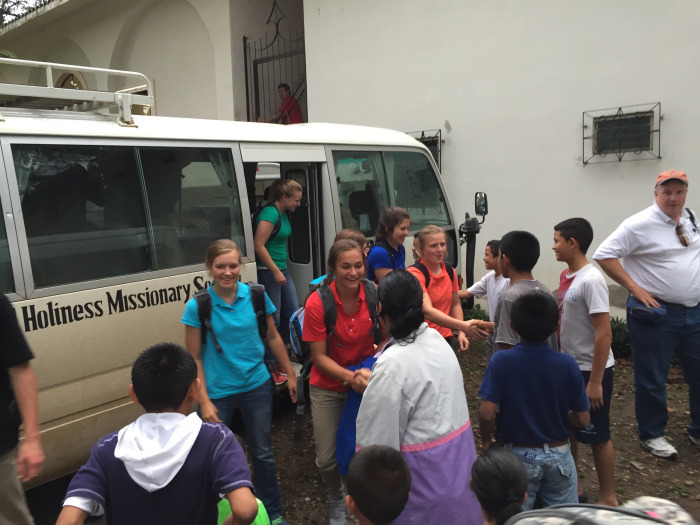 Although the Hondurans believed we were making an impact on their lives, perhaps they were leaving a bigger impact on ours. Experiencing the Honduran culture was an incredible, eye-opening experience that I will continue to look back upon my whole life. Entering my first year here at Ohio State, I was not confident in my choice of major. After traveling to Honduras and experiencing the diversity in agriculture education, I now know I have made the right choice for my future. I am so thankful that Ohio FFA, World Gospel Missions, and Dr. Cano and Mr. Agner took the risk to put together the first ever international study abroad experience for high school FFA members. I believe that this experience will be beneficial to me later on in the classroom. I highly recommend taking advantage of any of the study abroad trips here at OSU. We would like to invite all alumni of the Department of Agricultural Communication, Education, and Leadership to join us for a reunion on November 14, 2015 at the Buckeye Hall of Fame Grill in Columbus, Ohio as the Ohio State Buckeyes take on the Fighting Illini of the University of Illinois. Complimentary appetizers will be served beginning 30 minutes before kickoff*. Guests will be able to order additional items and beverages from the restaurant menu. A children’s menu will also be available at the restaurant. Please RSVP by Wednesday, November 4, 2015 at go.osu.edu/ReunionRSVP. Questions? Email acel@osu.edu or call 614.247.6358. *A kick-off time has not been set as of October 12, 2015. We will update the website information as soon as it is set by the media and Big Ten Conference. If you have any questions about the event or need to make changes to your reservation, please contact Emily at 614.247.6358 or acel@osu.edu. 8 WAYS TO GET MORE WOMEN INTO S.T.E.M. LinkedIn Workshop & Networking: November 10 from 5:30- 6:30pm location TBD. All information about workshops is also on the CFAES website under Careers- Workshops. Students interested in getting assistance with all aspects of career development are encouraged to attend walk-in hours with our Career Advisor Mary McLaughlin. All current students in the Department of Agricultural Communication, Education, and Leadership are encouraged to complete this survey. In 2017, ACEL will be celebrated 100 years! We want to know how you want to be involved! This survey is part of a group project in the AgComm 5130 course where students create a marketing and public relations campaign. Please help your fellow students out, as well as have a voice in the future events and activities for this celebration. The National Corn Growers Association (NCGA) is again offering its William C. Berg Academic Excellence in Agriculture Scholarship thanks to the sponsorship of BASF Corporation. Five (5) one thousand dollar ($1,000) scholarships are available to students entering at least their second undergraduate year (or any year of graduate school) pursuing an undergraduate or graduate degree in an agricultural, agribusiness, or an Ag vocation field. Applicants or a parent/guardian must be a member of the NCGA. Funds are for the 2016-2017 school year. Past scholarship winners and employees and the families of employees of any division of BASF or their subsidiaries or the NCGA are not eligible for the scholarship. Applications must be postmarked on or before December 11, 2015. Staff responsibilities include the development and implementation of beef checkoff-funded programs in the areas of consumer advertising, retail, foodservice, nutrition and veal designed to increase consumer demand for beef and veal products. The position also includes some OCA program coordination. Cattle industry background is strongly preferred. For a complete position description, contact the Ohio Beef Council at 614-873-6736 or email at eharsh@ohiobeef.org. To apply, mail a cover letter and resume to Elizabeth Harsh, Executive Director, Ohio Beef Council, 10600 U.S. Highway 42, Marysville, Ohio 43040. Does your local school support agricultural education? Activists believe move will add momentum to efforts.